Hawking’s new book invites us to think again about what it means “to create” and what, if anything, the natural sciences can tell us about it. The assertion—which is broadly philosophical and certainly not scientific—that the universe is self-sufficient, without any need for a Creator to explain why there is something rather than nothing, is the result of fundamental confusions about the explanatory domains of the natural sciences and philosophy. What is often being affirmed is a kind of “totalizing naturalism” that eliminates the need for any appeal to explanations which employ principles that transcend the world of physical things. Whether we speak of explanations of the Big Bang itself (such as quantum tunneling from nothing) or of some version of a multiverse hypothesis, or of self-organizing principles in biological change (including appeals to randomness and chance as ultimate explanations), the conclusion which seems inescapable to many is that there is no need to appeal to a Creator, that is, to any cause which is outside the natural order. What place, indeed? Creation, as a metaphysical notion, affirms that all that is, in whatever way or ways it is, depends upon God as cause. The natural sciences have as their subject the world of changing things: from subatomic particles to acorns to galaxies. Whenever there is a change there must be something that changes. Whether these changes are biological or cosmological, without beginning or end, or temporally finite, they remain processes. Creation, on the other hand, is the radical causing of the whole existence of whatever exists. Creation is not a change. To cause completely something to exist is not to produce a change in something, is not to work on or with some existing material. When God’s creative act is said to be “out of nothing,” what is meant is that God does not use anything in creating all that is: it does not mean that there is a change from “nothing” to “something.” In the quotation cited at the beginning of this essay we find Hawking telling us that it is not necessary “to invoke God . . .to set the Universe going.” But creation does not mean “to set the Universe going”—as though some change occurred at a putative beginning. To deny such a change, as Hawking does, is not to deny creation. Cosmology, evolutionary biology, and all the other natural sciences offer accounts of change; they do not address the metaphysical questions of creation; they do not speak to why there is something rather than nothing. It is a mistake to use arguments in the natural sciences to deny creation. But it is also a mistake to appeal to cosmology as a confirmation of creation. Reason can lead to knowledge of the Creator, but the path is in metaphysics, not in the natural sciences. To avoid confusion, we need to note different senses of how we use the term “to create.” We often speak of human creations, especially with respect to the production of works of art, music, and literature. What it means for God to create is radically different from any kind of human making. When human beings make things they work with already existing material to produce something new. The human act of creating is not the complete cause of what is produced, but God’s creative act is the complete cause of what is produced. This sense of being the complete cause is captured in the expression “out of nothing.” To be such a complete cause of all that is requires an infinite power, and no creature, no human being, possesses such infinite power. God wills things to be and thus they are. To say that God is the complete cause of all that is does not negate the role of other causes which are part of the created natural order. Creatures, both animate and inanimate, are real causes of the wide array of changes that occur in the world, but God alone is the universal cause of being as such. God’s causality is so different from the causality of creatures that there is no competition between the two, that is, we do not need to limit, as it were, God’s causality to make room for the causality of creatures. God causes creatures to be causes. Creation is not primarily some distant event. Rather, it is the ongoing, complete causing of the existence of all that is. At this very moment, were God not causing all that is to exist, there would be nothing at all. Creation concerns the origin of the universe, not its temporal beginning. Indeed, it is important to recognize this distinction between origin and beginning. The former affirms the complete, continuing dependence of all that is on God as cause. It may very well be that the universe had a temporal beginning, but there is no contradiction in the notion of an eternal, created universe, for were the universe to be without a beginning it still would have an origin; it still would be created. This is precisely the position of Thomas Aquinas, who accepted as a matter of faith that the universe had a temporal beginning but also defended the intelligibility of a universe simultaneously created and eternal. Thomas also thought that neither science nor philosophy could know whether the universe had a beginning. He did think that metaphysics could show us that the universe is created, but he would have warned against those today who use Big Bang cosmology, for example, to conclude that the universe has a beginning and therefore must be created. He was always alert to reject the use of bad arguments in support of what is believed. The “singularity” in traditional Big Bang cosmology may represent the beginning of the universe we observe, but we cannot conclude that it is the absolute beginning, the kind of beginning which would indicate creation. The crucial point here is that to offer a scientific account of the Big Bang is not to say anything about whether or not the universe is created. Those contemporary cosmological theories which employ a multiverse hypothesis or an infinite series of big bangs do not challenge the fundamental feature of what it means to be created, that is, the complete dependence upon God as cause of existence. An eternal universe would be no less dependent upon God than a universe which has a beginning of time. For one who believes that the universe has a temporal beginning, any theory of an eternal universe would have to be rejected, but a believer should be able to ask what kind of universe God creates (e.g., one with or without a temporal beginning) while remaining secure in the fact that whatever kind of universe there is, God is its Creator. 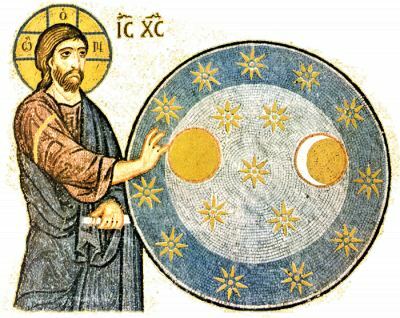 When it came to how to read the opening of Genesis, Thomas Aquinas observed that what is essential is the “fact of creation,” not the “manner or mode” of the formation of the world. Questions concerning order, design, and chance in nature refer to the “manner or mode” of formation of the world. Attempts in the natural sciences to explain these facets of nature do not challenge the “fact of creation.” God causes things both to be the kinds of things which they are and to exercise the kind of causality which is properly their own. Even the reality of chance and contingency depends upon God as cause. God transcends the created order in such a radical way that He is able to be active in the world without being a competing cause in the world. The interconnected, and one might say horizontal, world of changing things ought not to be confused with the vertical dimension of creation: a vertical dimension upon which the horizontal continues to depend for its very existence. Order, design, chance, and contingency all concern the horizontal realm, whereas it is the very reality of all things that depends upon the vertical dimension. We ought not to think that to create, in its primary sense, means to produce order. To explain order and design in terms of processes within nature does not eliminate the need for a Creator, a Creator who is responsible for the existence of nature and everything in it. Hawking thinks that modern arguments about design, especially those which refer to the remarkable coincidence of the initial conditions of the universe (the so-called strong anthropic principle), do not lead us to the existence of a Grand Designer. Rather, “the fine-tunings in the laws of nature can be explained by the existence of multiple universes.” We just happen to live in that universe (among perhaps an infinite number of other universes) which has the right environment for us. Indeed, he notes, “just as Darwin . . . explained how the apparently miraculous design of living forms could appear without intervention by a supreme being, the multiverse concept can explain the fine-tuning of physical law without the need for a benevolent creator who made the universe for our benefit.” The Grand Designer rejected by Hawking is not the Creator, at least not the Creator which traditional philosophy and theology affirms. 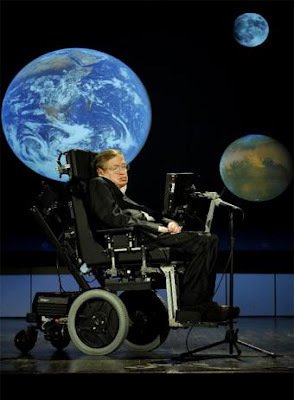 In The Grand Design, Hawking grants a near omnicompetence to the natural sciences and writes: “Because there is a law such as gravity, the Universe can and will create itself from nothing.” But there would be no gravity, indeed there would be nothing at all, were God not creating all that is as it is. God’s creative power is exercised throughout the entire course of cosmic history, in whatever ways that history has unfolded. God creates a universe in which things have their own causal agency, their own true self-sufficiency: a nature which is susceptible to scientific analysis. Still, no explanation of cosmological or biological change, no matter how radically random or contingent such an explanation claims to be, challenges the metaphysical account of creation, that is, of the dependence of the existence of all things upon God as cause. When some thinkers deny creation on the basis of theories in the natural sciences, they misunderstand creation or the natural sciences, or both.